5 Reasons to choose mineral cosmetics! Pure mineral makeup binds to oils not water. This gives the makeup a natural water resistance and is much better for your skin then conventional cosmetics. Conventional makeup contains chemicals, oils and other additives that can either irritate sensitive skin or cause unnecessary breakouts. Makeup is actually good for people to wear, as long as they are not wearing products harmful to their skin. Most of the cheaper foundations on the market have a list of ingredients that potentially harmful to your skin. Mineral makeup is the safest because it adheres to the natural oils in a person’s skin and doesn’t seep into the pores. Makeup acts as a protecting agent against free radicals. Almost any barrier between your skin and the environment is good, so long as it’s still letting your skin breathe, which most makeup doesn’t. Mineral foundation allows your skin to breathe while still offering protection. Because of the use of titanium dioxide in most mineral products, it’s also an excellent SPF. You can’t beat a makeup that works with your natural body chemistry. When mineral makeup is done right, it is much more versatile than most makeup. You can mix the mineral foundation with water, moisturizers and cremes to make a liquid foundation consistency if that’s what you like. You can conceal with it or just use it as a light coverage. Loose powder mineral pigments can turn into anything you can think of. The loose powder pigments are what companies use to color cosmetics. 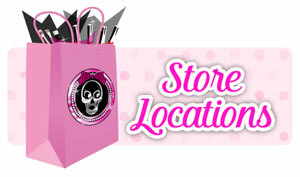 It can be used as eye shadow, eyeliner, lip gloss, hair highlights, colored mascara, nail polish, body shimmer, blush, etc. When working with the pure pigment it blends with almost anything. Most pure mineral makeup has a very long and stable shelf life. Everyone wants to have their makeup collection without having to worry about throwing items out because they have gone bad. Some women don’t like wearing foundation everyday, they want to have something that they don’t have to throw away after spending good money on it. Most companies put fillers and additives in their products for that exact reason … to make you use them up quicker, or make them go bad faster. Mineral makeup is simple and inert, it does not harbor bacteria because there is no organic material in it for the bacteria to grow. It is beautiful and comforting to know the same simplicity is on your face. Mineral cosmetics should have very few ingredients. Most mineral makeup has a base ingredient of mica. Mica does have a nemesis in the cosmetic industry, the nemesis is named “talc.” Do beware that talc is technically a mineral and used by almost every cosmetic company as their #1 ingredient, however it is a cheap and wasteful filler. Talc is soft and appealing to the touch yet it’s adherence to the skin is incomparable to the elite mineral, mica and has recently been linked with certain types of cancers. Mica has incredible skin adhering properties and is less cakey then talc. 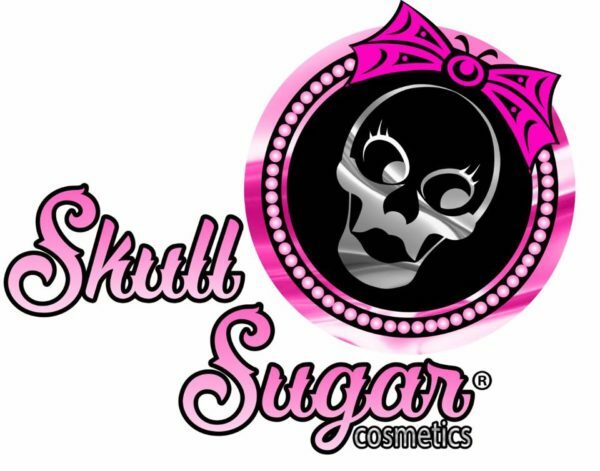 Skull Sugar Cosmetics NEVER uses Talc in any of our products! Mineral makeup is not only long lasting on your shelf but also on your skin. The pigment lasts a long time and a little goes a long way. With mineral foundation using very little can give a basic coverage. For extra coverage, after lightly applying the mineral base, women can use a more concentrated amount of foundation to conceal the areas that may need special attention. This makes mineral makeup last a lot longer on your skin.